What's in your credit score and tips on how to build good credit! Do you know your credit score? Lenders use your score to determine whether you are worthy of extending credit and at what interest rate they should lend you money. Understanding the components of your credit score will help you learn how to improve your credit score and will save you money! A good credit score is a must have in order to obtain financing to purchase a car or home. 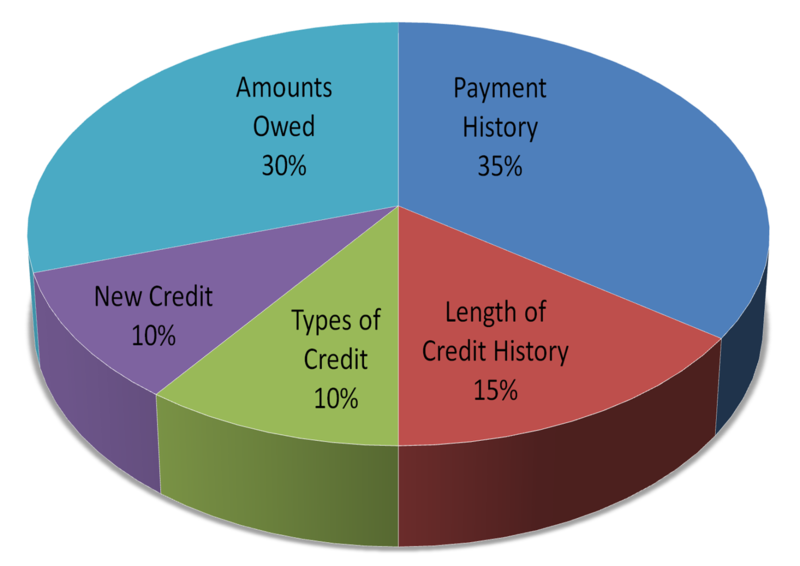 Measuring your credit is vital to being financially responsible. It's also good policy to monitor your credit report yearly due to issues like identity theft. Did you know that you are entitled to a copy of your credit score yearly? To view your credit scores from all three credit bureaus, visit www.AnnualCreditReport.com for a free copy of all three reports or call 877-322-8228. 800-850+ The Best rates available! 799-720– Very good, interest rates will be low! · Account payment information on specific types of accounts including mortgages, car payments, credit cards, retail accounts, and installment loans. Do not close open accounts that have not been used. Contrary to popular belief, this hurts your credit score instead of helping it. Examine your credit card interest on each card and the proportions between amounts owed and credit limit. If possible, transfer balances to open accounts with lower interest rates or to accounts that have a lower proportion between used credit and your credit limit. Know your credit score and what is on your report– you may have open accounts with small balances (like utility bills, cell phone bill, small medical bills) that could easily be paid off and increase your score. Get a credit card if you don’t have one! Next time you make a larger purchase such as a TV, finance it with no interest on a store credit card. Like us on facebook ~ Follow our pins ~ Watch our videos. Most lenders will actually give the best rates at around the 720-740 range from my experience. There is very little credit risk between 720-850 (720+ has a delinquency rate under 1%). Free AC Tune up from Gulf Power!